A man was killed when he climbed into a commercial bin which was later unloaded and dropped off at a recycling plant, an inquest has heard. 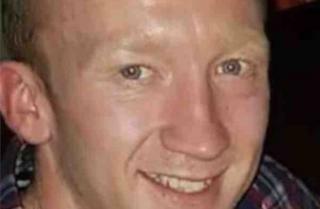 James McLaren, known as Jay, was found dead at a recycling plant in Houghton-le-Spring on Christmas Eve. The 28-year-old, from Sunderland, had last been seen during a night out in the city on 23 December. A jury at Sunderland Coroners' Court found the death to be the result of an accident. The inquest had previously been told the father-of-one died as a combination of head and chest injuries, having suffered broken ribs and a fractured skull. He had been reported missing following a night out with friends, and his family put out an appeal on social media. One of the responses, the inquest was told, was that Mr McLaren had on a previous occasion crawled into a bin to sleep while drunk. Assistant coroner Andrew Hetherington said he would be contacting local authorities to raise awareness about the importance of locking commercial bins.